I have updated this post from the original. I can be old-fashioned in many ways, especially when something works well. “Like my daddy used to say, … if it ain’t broke, … don’t fix it”! My father didn’t use those exact words, but often reminded me of this wisdom, whenever I tried to introduce some new-fangled idea that I had just discovered. I don’t want to leave you with the impression that my father was a dinosaur. As a matter of fact, he was always appreciative and intrigued by the “progress of man”, but just because something was new, it didn’t mean, it was better. I’ve grown more attached to this way of thinking as I age, and become more experienced and mature. This is why in today’s world of electronic navigation, a mechanical compass and a printed map are still my favourite tools of navigation. I’m not opposed to the use of modern electronic navigation, but for me, a map and compass are a more reliable way to navigate, in my wilderness. A compass is one of my 10 essentials. It never leaves my survival kit except to hang around my neck. With a small learning curve, a map and compass will get you back home safely. The Suunto MC-2 NH Mirror Compass is a professional grade compass that will be very useful and greatly appreciated by beginners and seasoned professionals alike. 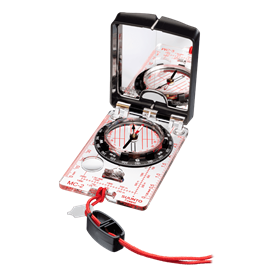 It has adjustable declination so that you can set the declination for use in the area you will be using this compass. This is a must to understand and your compass has to be set for the geographical area you will be using it in, for it to work with your topographic map. In North America, declination can vary by more than 20 degrees east or west, depending on your location. This declination is at the bottom of your topographic map and must be used to orient your map properly to set a bearing. (see video below) There is a small screwdriver attached to the lanyard for this purpose. The magnetic needle is balanced on a jewel bearing for quick, stable, and smooth operation. This Suunto compass is a base-plate type, orienteering compass that really shows its worth when used in combination with a map. Anyone spending time in the outdoors, … such as geologists, loggers, prospectors, surveyors, and weekend warriors, would be well advised to carry a compass. This is an orienteering compass for use in the Northern Hemisphere. The NH designation is for Northern Hemisphere. Be sure to check this feature when purchasing this compass. This is a definite must for your survival kit! The (NH) signifies for use in the Northern Hemisphere. There is also an (SH)Southern Hemisphere, and a (G) Global version of this compass. Price: Prices will vary with the model you choose and your country of origin. These compasses are also available at other outdoor retail outlets. Amazon Prime: Check out this very important Amazon feature to greatly reduce your shipping costs and in many cases get FREE, 2-day shipping! Iron Ore ” in-the-ground ” will also affect the magnetic needle and give you a false reading. Basic compass use is explained quite well in the included instructions. These instructions are available in ten languages. English, French, German, Spanish, Italian, Portuguese, Finnish, Swedish, Dutch and Japanese. Even though these instructions are of excellent quality, they are in very small font size and make reading them quite a challenge. Other than this, I have no complaints about this product. Spend the time to look at this video. It is very good. It describes compass use very well. Look at it a few times to get it all. Nothing is worse than having a shiny new compass and not being able to use it properly. Have a look at this excellent video on compass use! Anyone spending recreational time in the great outdoors, or any person earning a living there, such as a forester, a prospector, a park ranger, a land surveyor or anyone involved in similar activities, should carry a compass … and know how to use it! I would like to mention that this version, the NH ( Northern Hemisphere ) compass, is for North of the Equator use … there is also an SH ( Southern Hemisphere ) for use South of the Equator. The (G) version can be used anywhere on the planet. It is, however, a more complicated model and I would not recommend this model for beginners. In addition to the NH and the SH versions of this compass, Suunto also makes a Global Compass. This Global Compass has dial graduations in mils ( mil-radians ) as opposed to degrees like the NH and SH Compasses have. I have been using this Suunto Orienteering Compass for many years. This is a professional-grade, precision instrument that any serious outdoor enthusiast would be proud to own. The great advantage of having a compass with you … and knowing how to use it … , is the fact that it will always be able to provide you with reliable navigational data, provided you do not place the magnetic needle near metal objects. There are no batteries to die out on you, no need to wait for a satellite to pass overhead and no electronics to go “coo-coo”, at the time when you really need to take a bearing! GPS units are excellent tools and have their purpose. A compass is much less expensive and a definite must even if you carry a GPS unit. If you carry a GPS, this is a must “back-up” tool to bring along. This Suunto MC-2 NH Orienteering Compass has never let me down and has all the excellent features mentioned above. It is constructed of very high -grade materials and with great craftsmanship. If you have any comments, questions, or suggestions about this product, The Suunto Orienteering Compass, do not hesitate to Contact Me. I would be pleased to hear from you. Perhaps the years I’ve spent in the outdoor wilderness can be of benefit to you. I need one of these for my survival bag. Currently I don’t have one and this one seems to fit the bill since it has the screw driver for changing the declination. I may sound foolish, but what is the mirror for? Thanks for reading my review of the Suunto compass. Your question is a very good one and I am happy to answer it for you. The mirror reflects your compass capsule and protractor. By opening the compass mirror to about 45 degrees and lifting the compass to eye level and at arm’s length, you can align the object you are sighting with the sighting aids of the compass and see the compass capsule and protractor at the same time. The reason for the mirror is to sight your direction or object with the compass capsule visible, to you, at the same time. The mirror is also used for signaling over long distances by flashing sunlight reflected in the mirror. To know where the reflected light is directed, use two fingers in a V-shape at arm’s length so that you see the target between your fingers. Keep the open compass mirror upright close to your eyes and turn the mirror until the reflected sunlight hits your fingers. Then, by rotating the mirror left-to-right, you can create a flashing signal in the desired direction. With the mirror lid fully opened you also have a much longer straight line for determining your direction of travel and for working on the map. In addition to these technical reasons, the mirror can also be used as a regular household mirror. For instance, in a First Aid capacity, if you have a small object or other such irritants in your eye. I have also used the mirror to install my contact lenses. So in the end, the mirror has these 3 main functions. 1) It is used to sight an object in the distance when taking a bearing. 3) It can also be used as a household mirror, in an emergency or minimalist capacity. I hope that this has provided you a good answer and I thank you again for reading my post. Hello Paul. For someone that spends a lot of time outside I need something that will handle extreme conditions. 20 below temps. Any thoughts on the product being able to handle such extreme temperatures? I am looking for a quality compass and it looks like this may fit the bill with your seal of approval but I need to know it’s going to work for me when the temps hit possibly 20 below. Hello Robert, and thanks for reading my blog on the Suunto MC-2 NH Mirror Compass. Your question on this compass is a very important one for anyone spending a lot of time in the outdoors during extreme temperature variations. This highly engineered, precision instrument is sure to meet your needs. The Storage and Operating Temperature for this Compass is in the range of -30 degrees C. to +60 degrees C.
This is an impressive temperature range and more than adequate for most, if not all, human activity in the great outdoors. It pleases me to have been able to reply to your question and I hope that I can be of further assistance in the future. May all your adventures be challenging and rewarding. On the adjustable declination, I red one of your post there is a provided screwdriver with the compass and a printed scale. So, that means we change the North arrow based on the local declination? 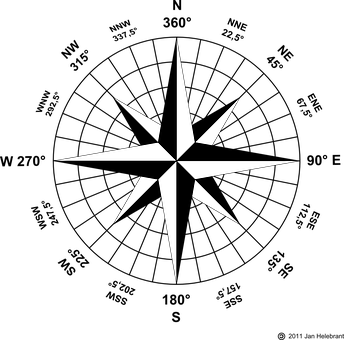 By the way, I guess the compass is widely regarded internationally since there manual accounts 10 different languages. Hi, Tar and thanks for visiting my website. Yes, there is a small screwdriver that comes attached to the lanyard and should remain there. As you mentioned this screw is used to set your compass to True North. 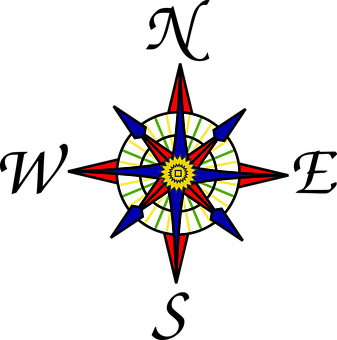 Compasses do not “point” . The compass needle ” lines up “ with the Earth’s Magnetic Field. The Magnetic Pole is constantly moving, and because of this , the declination will vary from year to year as well as from location to location. All Topographic Maps will show Declination Values for this map area. It will either have a ” Declination value diagram ” or this information may also be shown below the ” map scale ” . Also, the fact that instructions are printed in 10 popular languages shows the respect that the Suunto Company and this product hold. If you have any further questions about this product or the compass in general please feel free to ask. I will do my best to answer them as soon as possible. As a leader for the local Boy Scout troop, this Suunto compass will be very handy when we go to our Orienteering outing this spring. They get a map and have to follow it from point to point. The boys have a rough time bringing back all the equipment that they leave with, does this compass have a case or a way to attache to a belt loop. I would hate to purchase this compass and not have it return on the first trip, they lost two last year. This compass does not come with a case . It does however, come with a lanyard that can be looped to a belt, and then placed into a pants pocket . This lanyard can also be inserted into a button hole or zipper hole, and then placed into a shirt or jacket pocket . There are many ways to secure this excellent compass, but I prefer to hang it around my neck, as this gives me easy access to it . The many ways to secure this piece of precision equipment also applies to adults. With all the bending, leaning, crawling and falling, that happens in the course of a day spent in the wilderness, securing it to the body and having easy access to it, is a must! There are many ” after-market ” cases that could be purchased to accommodate this compass, however I find that a compass should not be in a case and should always be easily accessible, especially in your case ( no pun intended ) , where it serves as a teaching tool for these young adventurers. I hope that this is helpful. If you have any other questions about this compass please feel welcome to return and ask them. Thanks for your interest and good luck this Spring with your troop. I have a friend who has been in boy scouts about twenty years ago. He’s been to many mountains and forests and got a lot of badges. Right now he’s become a park ranger and he loves his job. To him, wilderness is his life, because it feels so free and refreshing working there everyday. He has been complaining that the newer generation nowadays rely too much on their cell phone. He would rather rely on a good old compass. The funny thing is, his old compass has been stolen. It’s been for about fifteen years and now it’s gone. I think he will get a new one. Since the one you mentioned is so flawless, I will tell him to check it out and see what he says. This could be your friend’s lucky day Blame ! What your friend is undoubtedly looking for, is an orienteering compass, such as the type I have described in this blog. The Suunto MC-2 NH Mirror Compass would most certainly serve him well in the environment that you have described. The NH is for use in the Northern Hemisphere . There is also an SH ” Southern hemisphere ” version and a global version of this compass . This compass is made for easy use with a map and since he is somewhat “old-school” , there are no batteries to fail , and no easy push and click directions . 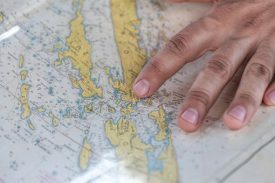 He will have to set the declination for his area of use , read bearings and determine his co-ordinates and elevation from his map – all good , old-fashioned map-reading skills. If you or your friend have any questions or are in need of further information on this compass and its capabilities please do not hesitate to ask . Thats definitely interesting for outdoors use for people who are out in wildernesses and need to get to where they are going without use of GPS and other devices, when that is all you have. Never really thought of the satellite method for powering up if thats what you were stating there. I am not opposed to the use of GPS or any other form of ” new tech ” . What I stated was that a compass has no electronics that can fail , at times when they could be life-saving ! In addition , an orienteering compass is an essential tool of the ” map and compass ” course that everyone should know as you become more serious about the outdoors . I certainly enjoy the easy and quick co-ordinate readings and direction finding capabilities of GPS units . Hope this sheds light on your question . Not quite sure about what you mean by “satellite powering-up ” , but I would be happy to explain this further . Thanks for dropping by my website Deva . I’m happy that you appreciate the quality and workmanship of this great compass . It is possible and practical to use this compass in canoe/kayak situations , however when you mention sailing and going to sea – this is not the primary purpose of this specific instrument . Marine Compasses are attached to the vessel itself .There is usually a lot of turning and tossing going on . In a marine capacity you will need both hands on the wheel/tiller . Here is a picture of a Marine Compass to show you the difference . This Compass is made by Sodial , and as you can see , these compasses have a base or bracket attachment to secure it to the vessel itself ! Hope this clarifies the purpose more clearly . If you have any further questions please don’t hesitate to ask . I will be glad to help you choose a marine compass , if that is what you are looking for .